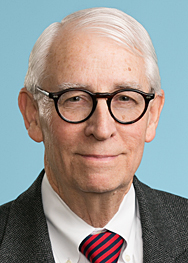 On December 22, the U.S. District Court for the District of Columbia issued an opinion in Water Quality Insurance Syndicate v. U.S., which reversed the Coast Guard’s National Pollution Funds Center’s (NPFC) finding of gross negligence by the captain of the MONARCH, a supply vessel that collided with an offshore oil and gas production platform in the Cook Inlet, AL. This decision may have significant implications for insurers. Water Quality Insurance Syndicate (WQIS) insured the MONARCH, a supply vessel engaged in providing needed supplies to offshore oil platforms operating in treacherous Alaskan waters around the Cook Inlet. While trying to supply an offshore oil and gas production platform operated at that time by Chevron, the MONARCH’s captain was forced to contend with and navigate through stormy seas and ice packs surrounding the platform. The vessel collided with the platform, resulting in a spill of 38,000 gallons of fuel, lube, and generator oil into Cook Inlet. The MONARCH was a responsible party under the Oil Pollution Act of 1990, 33 U.S.C. §§ 2701 et seq. (OPA), but its liability would be capped by law at $800,000 unless the MONARCH’s captain was deemed to be grossly negligent. The MONARCH’s insurer incurred nearly $2,700,000 in removal costs and expenses, and filed a claim for reimbursement from the Oil Spill Liability Trust Fund, created under Section 2712(a)(4) of OPA, which is managed by the Coast Guard’s National Pollution Funds Center (NPFC). WQIS’s claim was denied by the NPFC, on the basis that the Captain was grossly negligent. Searching for a usable definition of “gross negligence,” the District Court noted the use of the term “gross negligence” in OPA and the various laws that were enacted over the years that now constitute the Clean Water Act, and Comprehensive Environmental Response, Compensation, and Liability Act of 1980 (CERCLA). However, none of these statutes defines “willful” or “gross” negligence, except for a single section of CERCLA, which limits the liability of State and local governments when they render assistance in addressing hazardous incidents, save for those instances where the responding governmental agency has engaged in gross negligence, defined there as “reckless, willful or wanton conduct” (42 U.S.C. § 9607(d)(2)). The District Court concluded that “[t]hus, Congress has defined the term ‘gross negligence’ in a parallel statute to the OPA to require ‘misconduct’ that is ‘reckless, willful or wanton.” Measuring the NPFC’s working definition, described as being “an extreme departure from the care required under the circumstances or a failure to exercise even slight care” against this CERCLA definition, the District Court granted the WQIS’s motion for summary judgment and the matter was remanded to the NPFC so that it can consider, for a third time, WQIS’s claim for reimbursement, consistent with the District Court’s ruling. If there is an appeal in this case, then a clear cut meaning of “gross negligence” may finally emerge, at least in this line of environmental cases.